Born in Cockermouth, Cumberland, Wordsworth was an English poet whose Lyrical Ballads, written with Samuel Taylor Coleridge, helped launch the English Romantic movement. Wordsworth, Coleridge and Southey came to be known as the "Lake Poets". 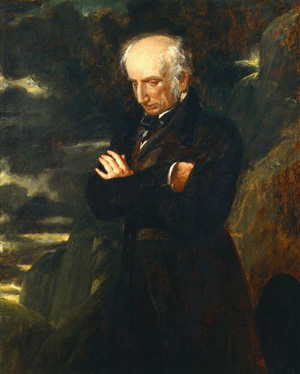 With the death in 1843 of Robert Southey, Wordsworth became the Poet Laureate.